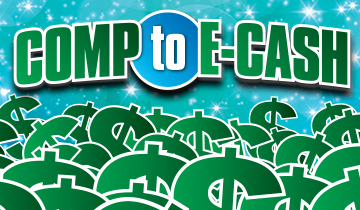 Trade up to $200 in comp for $100 in E-CASH! Must be played on the same day. Trade must be in $10 increments.